Security is defined as "freedom from fear." So often, we think of fear as the enemy, an adversary from which we should attempt to escape. The truth is that fear is simply a friend with limited information. It reacts in an attempt to warn us of possible danger or concerns based on past experience. It is fear that keeps us from resting our hands on a hot burner. Rather than allowing ourselves to invest in fear when we feel insecure or uncertain, we might consider the opportunity as it presents itself. Is the fear based on evidence or assumptions? Am I managing fear of am I allowing the fear to manage me? What is your greatest fear? One of the greatest and most natural forms of self-sabotage is our inclination to run from fear. If one is able to shine the light on fear, and look it straight in the eye, it will diminish it's power. Beyond the shadow of fear is a key to your success. There is power in fear. If it is managed, it is power that can be utilized to make you more effective. If you allow it to manage you, it will be your undoing. Your specific fears are clues to your gifts and callings. Many professional actors and performers, for example, are painfully shy and insecure. Once they are able to tap into their fears and utilize it in their performance, the fear is transformed into a gift. How are your fears gifts in disguise? How can you utilize them to be even more effective in your life? Success or sabotage? Success requires great courage; are you willing to walk through the darkness in order to get to the light? Is this going to be an incredible day? Are you afraid to make this day all that it can be? Fear is a friend with limited information. "He" is the manager on the team that is often a little overzealous in his responsibilities. He acts out of compassion but often without evidence to warrant his claims. He attempts to keep us "safe" at all times. Since he doesn't have much information, he bases his conclusions on assumptions derived from past experiences, perceptions and observations. He doesn't like to be ignored and can become rebellious if we attempt to repress him. The bottom-line is that fear is NOT the enemy (what keeps you from putting your hand on a hot stove? ); it simply needs to be managed. One of the greatest temptations of fear is to get caught up in "why mode?" Why do I do this? What in my past has created this fear? Why do I feel this way? This is not to say that the answers to these questions will not provide some useful information for managing fear in the future, but they can also become a way to validate inaction and paralysis, making a fear a victor in its attempts to maintain the comfort of the status quo. A more effective approach might be to deal with the effects of fear, rather than the cause. Ask yourself, what evidence do I have to validate this assumption? What is the best thing that could happen? What is the cost of operating on a negative assumption (both to me and others)? What am I going to do, right now, to move beyond it? Easier said than done in many cases, I realize. For me, it always comes down to this question: is the pain of where you are greater than the discomfort of what it is going to take to move you out of it? We answer that question everyday with our thoughts, words and actions. Be mindful of the choices that you're making. Do they serve you and your intentions? Fear: Mark, you should not be applying for that job. You know that you're not qualified. They are never going to hire you. Faith: But, I have the skills to do the job. They will see all of the gifts that I have to bring to the table. Fear: You are delusional. When are you going to stop living in a fantasy world and start existing in reality? Get the picture? You may be surprised at what you find. Success or sabotage? Continue to direct your faith toward an assumption of success. What if you believed that everything was indeed happening FOR you instead of to you? Is this going to be an incredible day? Set your fear aside and entertain the unlimited possibilities of the day. 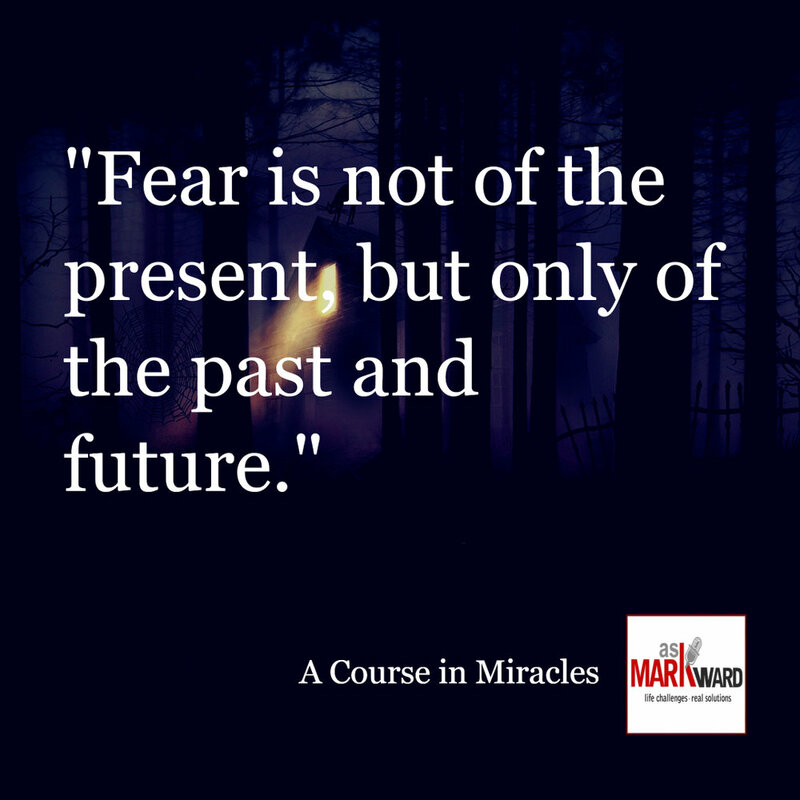 How has fear POSITIVELY influenced your life? If there is indeed something to be gained from every experience, what has fear taught you about yourself and your talents/gifts? We often make the mistake of rejecting fear as the enemy when it is simply a friend with limited information. If we utilize fear in its most effective capacity--as a counselor, instead of a leader, we will unlock great wisdom within. Fear is a part of our daily interactions. Take notice today of the many appearances of fear (no matter how slight or seemingly inconsequential). What is the message that fear is attempting to deliver? How can this message assist you effectuating positive change in your life? Success or sabotage? Success is a team effort; fear is a valuable player if you know when to use its counsel. Is this going to be an incredible day? Are you willing to learn from every circumstance today no matter how unexpected or unwelcome? What is your greatest fear? One of the greatest and most natural forms of self-sabotage is our inclination to run from fear. If one is able to shine the light on fear and look it straight in the eye, it will diminish its power. Beyond the shadow of fear is a key to your success. There is power in fear. If it is managed, it is a power that can be utilized to make you more effective. If you allow it to manage you, it will be your undoing. Fear is a valuable member of the team that operates with limited information. It is a valuable adviser that can be a bit overzealous in its instruction. It is vital that we remember that if it is not managed daily, it will place itself in a leadership role. Fear is the thing that keeps you from placing your hand on a hot burner (good advice), but it always bases its advice on past experiences or perceptions. Sometimes the assumptions used to draw conclusions are not logical nor do they serve us well. It is important to remember that fear is not an enemy. It will serve you well as long as you manage it and do not allow it to manage you. What is the role of fear in your life? 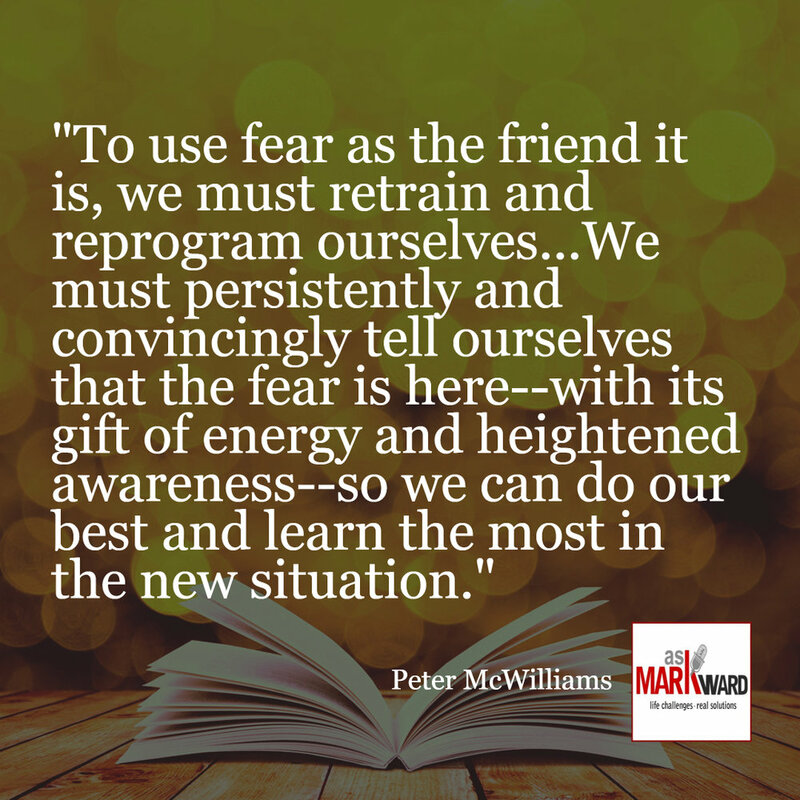 Do you find yourself acting out of fear without taking the time to check the validity of its advice? What is the cost of NOT managing your fear? What would you do differently today if you were fearLESS? Success or sabotage? Your past does not have to dictate your present or future. are you keeping your fear in check? Is this going to be an incredible day? 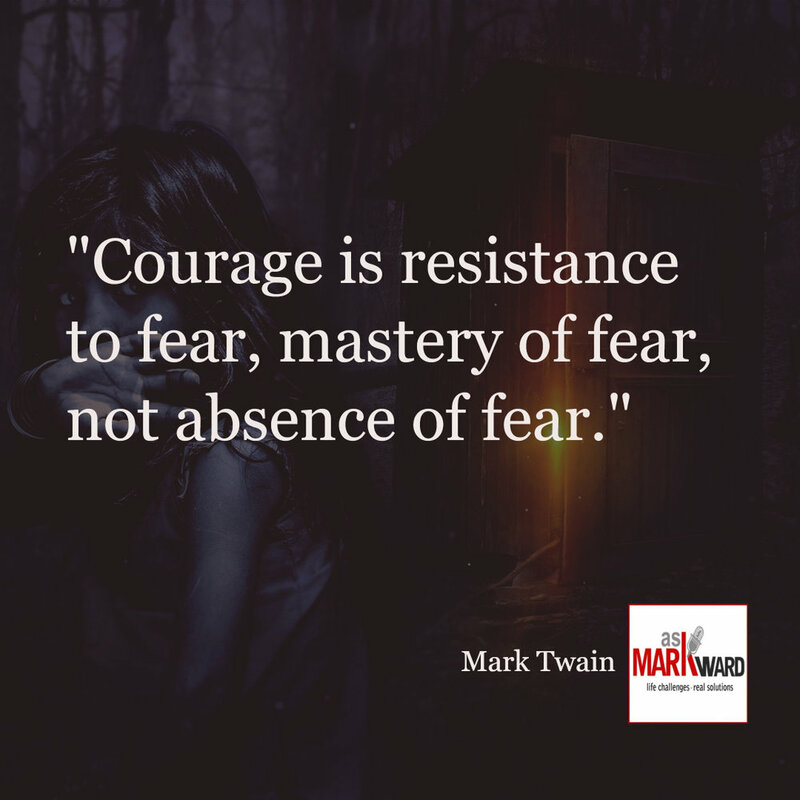 Go forth with great courage, knowing that you have nothing to fear (but, dare I say it? Fear itself). Everything that we do is an answer to a question in our minds (conscious or unconscious): is the pain of where you are greater than the discomfort of what it is going to take to move you out of (or beyond) it? Every action is an act of speculation. We have no way of knowing the outcome of our actions. We evaluate risk based on past experiences and observations. We often act according to the counsel of fear. Fear will happily inform us when something we are about to do is worthy of note. It will take great effort to persuade us of its wisdom by reminding us of possible catastrophe and mishap prior to action ("you don't want to do that!"). Unfortunately, fear is a risk-adverse friend with limited information. He/she does not always act on the best behalf of its leader. It is our responsibility to manage fear so that it does not manage us. 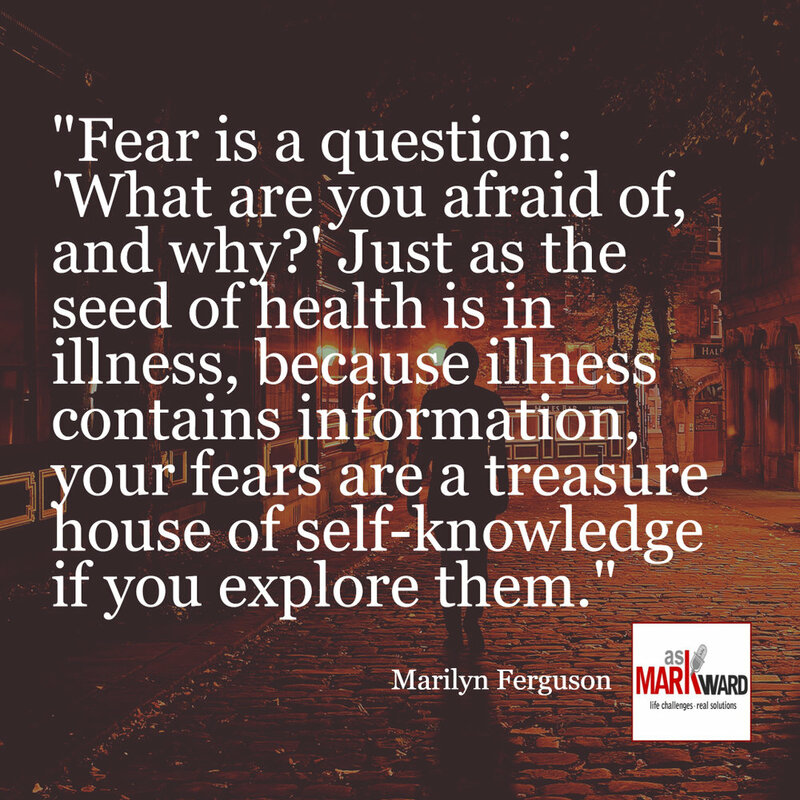 What frightens you? What would you do if you had the courage today to do anything without hesitation? Walk through the morning as if it is the last day of your life. You are fearless and have NOTHING to fear. What will you do differently today? How does it feel to do it? Success or sabotage? If creating greater joy and success in your life is important, you must create your own path. Fear only has as much power as you allow it. Is this going to be an incredible day? If you shine the light in dark places, you will find more light, power, and potential than you ever thought possible.